Why settle for normal candles on a cake when there’s so many other fun options to choose from. We look for any opportunity we can find to jazz up childrens parties and add on all those magical touches. We’ve given a lot of advice on childrens party entertainers lately so we thought we’d have a look at some other fun party ideas. We’ve come across a great kids party idea to make your birthday cake even more fun. 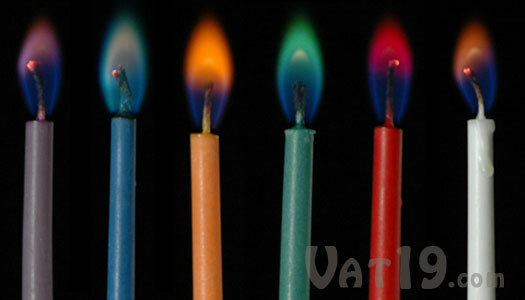 – Coloured flame candles. There are a number of companies that sell them but we’ve suggested one in the link for you. We couldn’t see a price on the website but they’re being sold on amazon for just over £2 a pack. 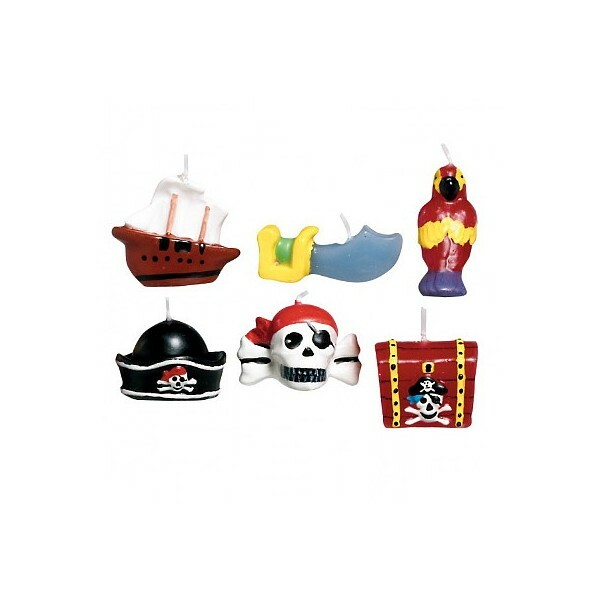 4) Themed candles like pirate candles or football shape candles to go with the theme of your choice. You can get any shaped candles for any kids party theme if you look around. 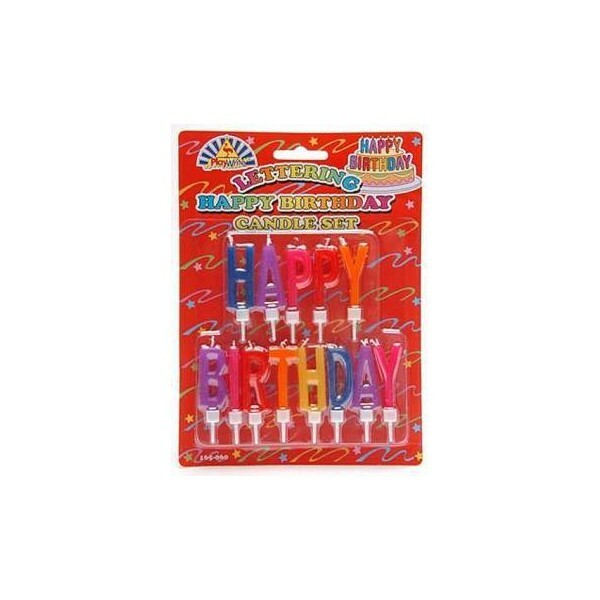 5) Or why not get some funky sparklers to add to the fun. 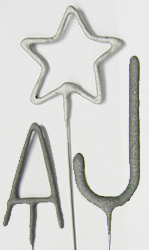 These come in all sorts of great shapes and sizes. You could spell out your child’s name if you wanted. 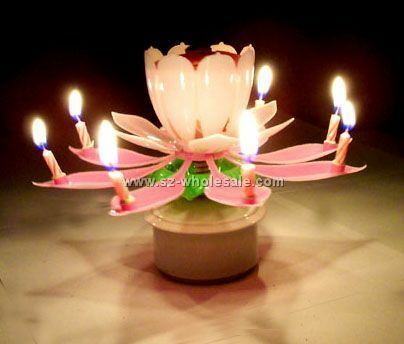 6) Candle Fountains – These are great and create a real wow effect! It’s like having a mini firwork on your cake! 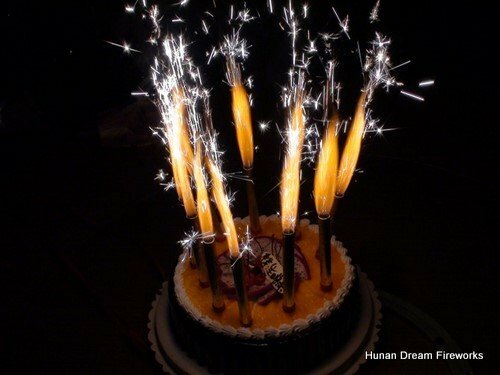 7) Our party favourite for chidlrens party cake candles was the all singing all dancing musical candle. It’s like a candle fountain, singing candle and a sparkler all in one! Take a look at this link and you’ll see a video on a musical candle to see what we mean. You’d be amazed by how much choice there is out there just for candles for childrens parties. We found a great place to source pretty much all of these types of candles. They have a whole range plus other party supplies. 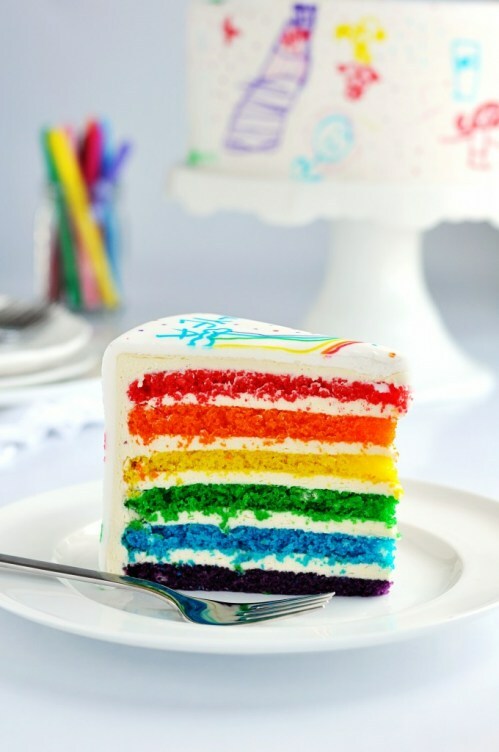 Whilst you’re in a colourful mood you might like to take a look at this blog we found for a rainbow cake. It’s a great colourful cake and the candles would compliment it very nicely. Read through our blog for more fun party ideas on parties for children, including childrens party entertainers and kids party food ideas.